My colleague and friend returns from five months of maternity leave. 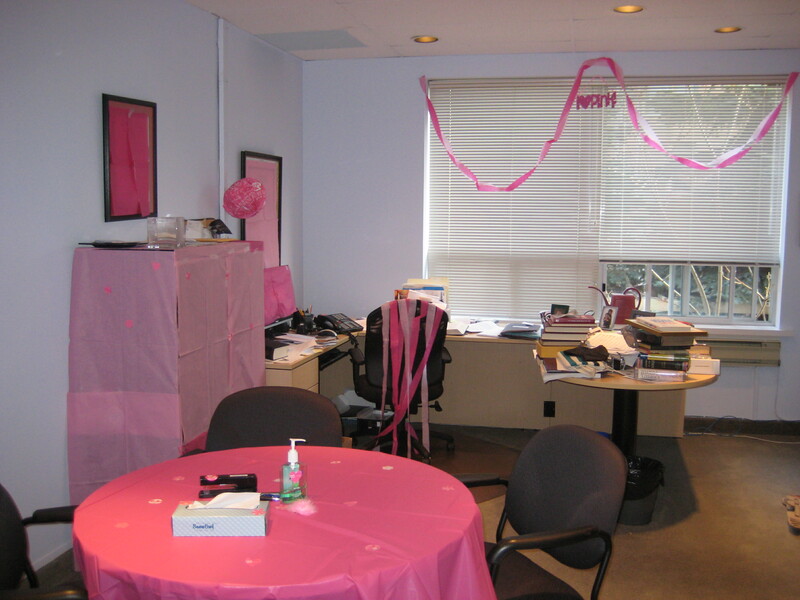 I am quite possibly the most excited about this and in honour of her return (yes I spelled honor like a Canadian) I decorated her office. My lovely colleague has a beautiful new daughter, a daughter she said would never wear pink. I have only ever seen her in pink. Rabbis know how to have fun.